Don’t let our name fool you… we work hard networking and building our businesses AND ourselves and THEN we play hard. Glamour and bling are often involved, BUT THAT’S JUST WHAT WE DO! Learn How to Become a Diva Today! We are a professional women’s networking group built by strong, dedicated and motivated women. Gain more confidence, skills, visibility and networking experience that will help grow your dream business. 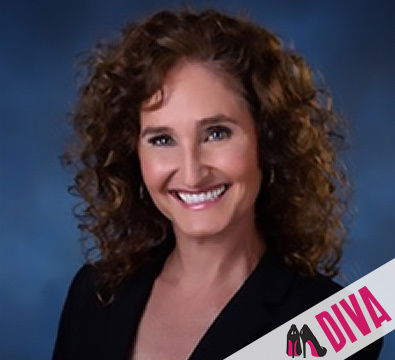 Meet our March Spotlight Diva, Beth Foyle! Beth Foyle is a Financial Advisor with Ameriprise Financial. She and her team of six advisors and three staff members develop plans to allow people to reach their financial goals covering everything from children’s education to retirement. Do you have a plan? 85% of millionaires have a financial advisor – you should have one too! As Heidi says, “You should work with someone you know, like, and trust.” If we haven’t had coffee yet, please reach out to me. I’d love to get to know you! View Beth’s full profile here! Sign up for the Diva newsletter and receive a free copy of the Coffee Club Diva’s Manifesto. PLUS, get inspiration, motivation, tips, tools, and special tricks to help you “Diva-fy” your business and your life!